Marilyn Monroe said (Quotes 74) - Motto Cosmos - Wonderful People said! 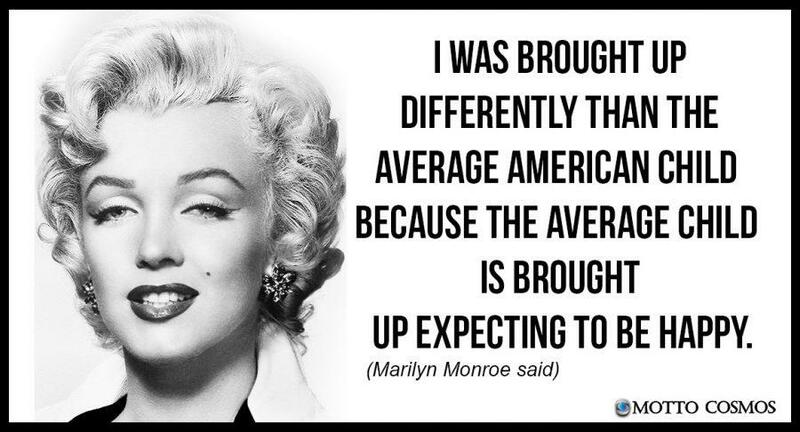 Marilyn Monroe said (Quotes 74) No ratings yet. I was borught up differently than the average American child because the average child is brought up expecting to be happy.